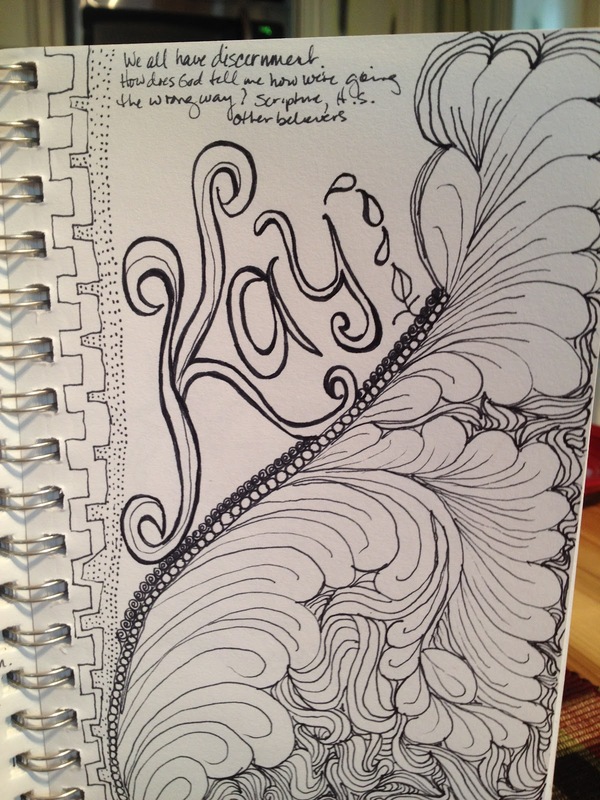 I have always been a doodler. In the corners and edges of notebooks as far back as 3rd grade. I learned it from my mother who always drew on the back of envelopes as she talked on the phone. She was actually a pretty good pen and ink artist when she gave herself the time but that was rare. I never thought of myself as good. 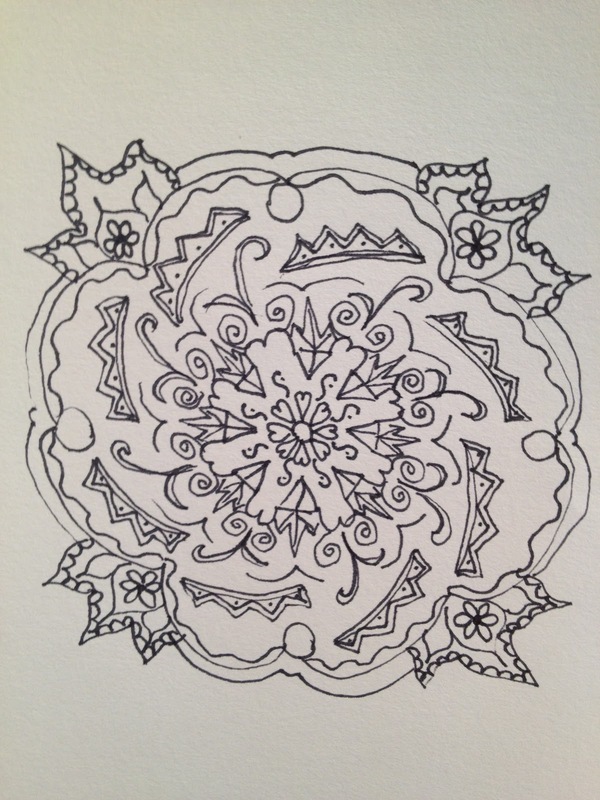 In fact, I can't remember using a pen or pencil to make pretty shapes thinking I was doing anything but occupying my mind so it wouldn't drift until a few years ago when Pam taught me how to draw a feather for quilting. I literally took a pile of about 50 pages of scrap paper and drew feathers until I felt I could actually do it with some kind of confidence and then went to my machine and tried sewing them. It was quite a victory. 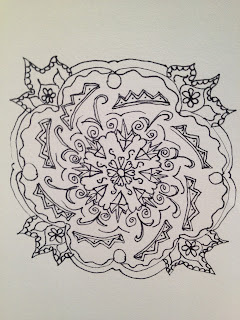 I began Zentangle playing a few years ago. After my second surgery this year, when I stopped falling asleep every 15 minutes I was awake, I found my ability to keep my mind focused on what's going on during a sermon or a meeting or just about anything else is almost comical. I have begun sketching much more because it keeps my mind from wandering. Sometimes the sketch is about who I'm with or what the sermon is addressing. Sometimes it's about ideas for the brain quilt I'm thinking about. Some of these lines of ink inspire quilting ideas. Or design ideas. The eye postcard I showed you I'm making came because I drew an eye during a sermon a few weeks ago. I no longer take a pretty notebook to church choosing a sketchbook instead. It yields some interesting things. Looking back over my sketchbook for the past several months I saw eyes in many of my sketches and didn't realize I was doing it repetitively until recently. I love your sketching. I have tried but it doesnt flow natural for me. I have to have something to copy. I keep trying. Do you find that your free-motion quilting has improved? That's been one of the things that I get from this kind of exercise. Happy Halloween! Hope all is well with you. One of our clients is a doodler and he starts The first day of the Hebrew calendar He is Jewish so it usually starts with a classic sign of the religion. A Menorah, Star of David, and as the event of the year happens, he fills in the "star of david" with doodles that he interrupts to the event. All micro. We look forward to the end of the Jewish calendar for our copy of his art. We frame it and have several hanging throughout the house. He does all this for free and shares with all of his family and friends! We are so lucky!